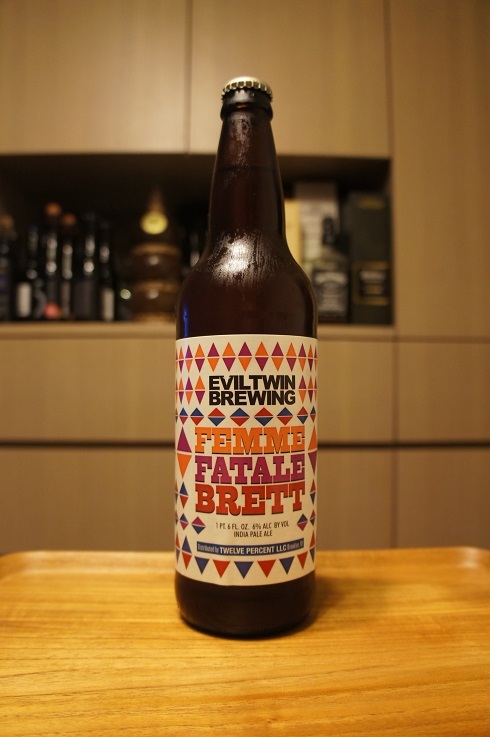 Brewer Description: (from bottle) To take up the challenge and make a 100% true Brett IPA can very easily become a fatal attraction for the Brewmaster. 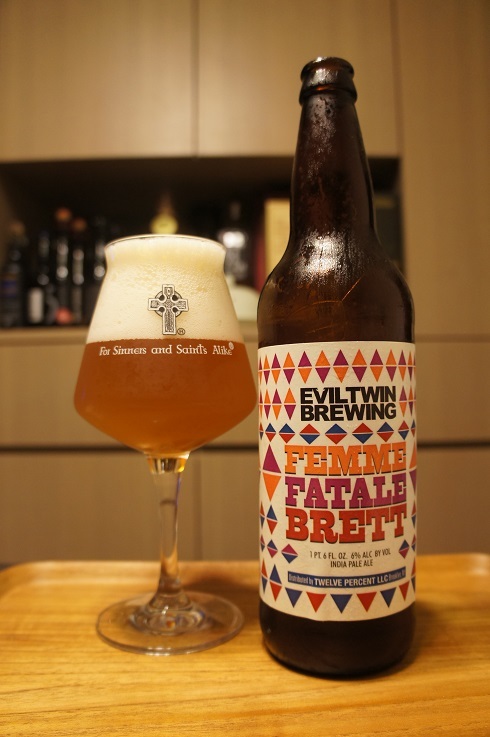 Once you get acquainted with Bretts irresistible, seductive, alluring and very charming nature, it will ensnare you and drive you to the point of obsession to create the desirable tangy, funky, tart flavor in ya mouth. Intro: A 22 fl. oz. bomber with no clear bottled on or best before date. Poured into a Lost Abbey teku glass. Appearance: A lightly hazy golden orange colour with a big three finger white head that had good retention and left some nice lacing. Aroma: Citrusy orange juice, orange rind, lemon, tangy, lightly tart and a touch of brett. Taste: Similar to the aroma, citrusy, orange juice, orange, lemon, lemon zest, tangy, grass, brett with hints of tropical fruit, pineapple. 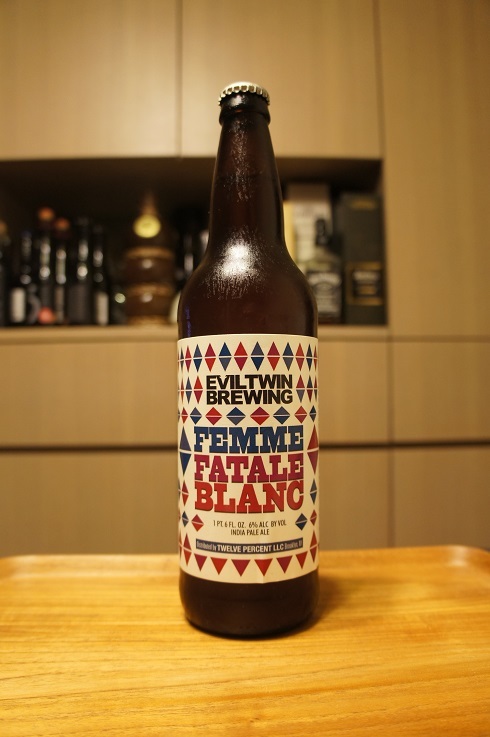 Overall: Not bad at all, but not as good or complex as the Femme Fatale Blanc that I had just tried a day earlier. Still worth a try though. 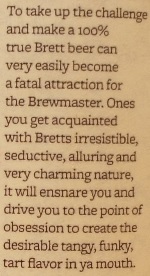 Brewer Description: (from bottle) To take up the challenge and make a 100% true Brett IPA can very easily become a fatal attraction for the Brewmaster. Once you get acquainted with Nelson Sauvin’s fruity and seductive personality, along with Bretts irresistible, overpowering, alluring and very charming nature, it will ensnare you and drive you mad obsessing over how exactly you can create the perfect desirable tangy, funky, crisp, tart flavor in ya mouth. Appearance: A lightly hazy golden colour with a big three finger white head that had decent retention and left some nice lacing. 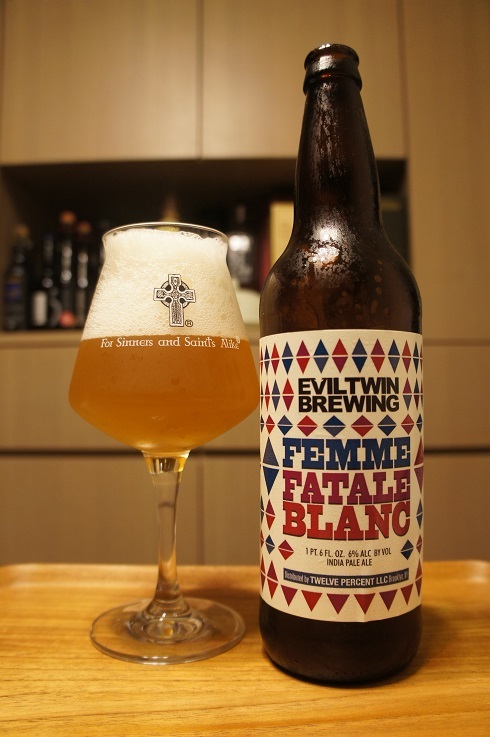 Aroma: Lots of tropical fruit, apricot, peach, pineapple, grape, citrus peel, grapefruit, funk, brett, and a hint of leather. 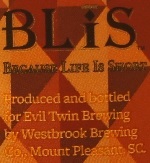 Taste: Light sour and tart, lightly bitter, citrusy, grapefruit zest, grape, green apple, funky, brett, and leather. Overall: Quite nice as the fruitiness balanced out the brett. Brewer Description: Could not find any real description about the beer. Intro: A 12 fl. oz. bottle with a Julian bottled on date of 23215, meaning it was bottled on 20th August 2015, so aged for about 2.5 years. Poured into a snifter glass. Appearance: Black in colour with a half finger brown head that dissipated fairly quickly while leaving some sparse spotty lacing. 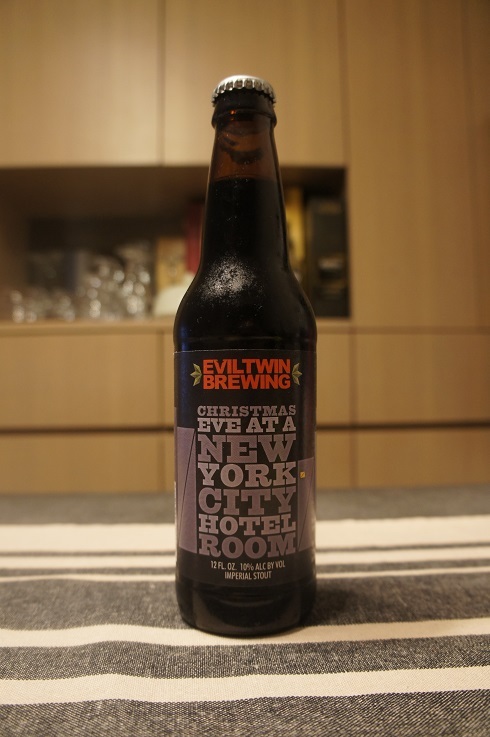 Aroma: Roasted malts, molasses, chocolate, cocoa, raisins and dark fruit with hints of char and leather. Taste: Peppery spice and woody beginning, followed by roasted malts, cocoa, chocolate and molasses. There is a touch of dark fruit and hints of smoke on the finish. Overall: My first impression wasn’t so good, but the more I drank it, the more I grew to like it. Perhaps partly it was because it got better as it warmed. Other Notes: Produced and bottled for Evil Twin Brewing at Dark Horse Brewing Co, Marshall, MI. 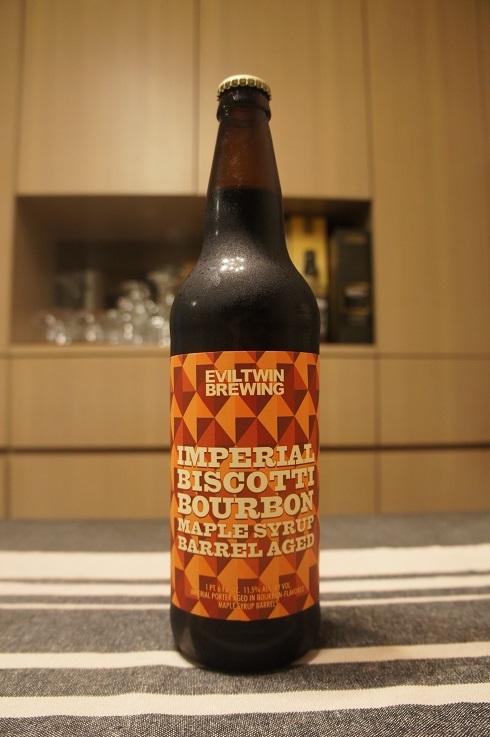 Brewer Description: (from bottle) Imperial Stout aged in maple syrup bourbon barrels. Intro: A 12 fl. oz. bottle with no bottled on or best before date. Poured into a snifter glass. Appearance: Black in colour with a minimal brown head and sparse lacing. 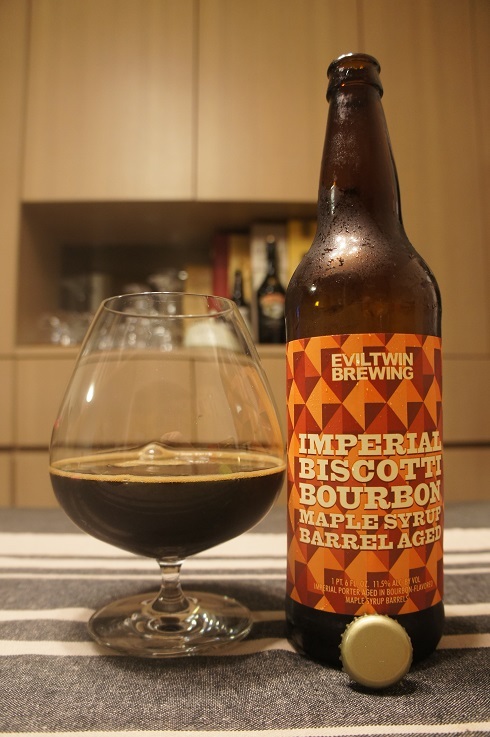 Aroma: Molasses, raisins, bourbon, brown sugar and chocolate with only hints of maple. 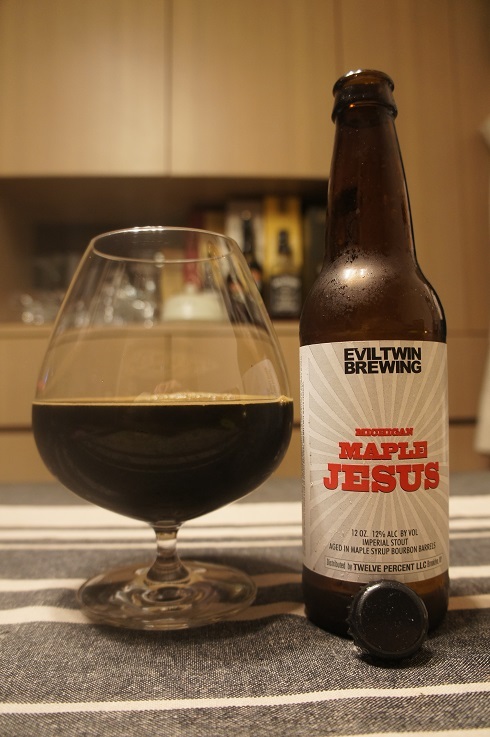 Taste: Sweet, dark fruit, raisins, char, light smoke, roasty malts, milk chocolate, vanilla, bourbon and booze with touches of maple (more so as it warms). Mouthfeel: Creamy, smooth, full bodied with low carbonation. 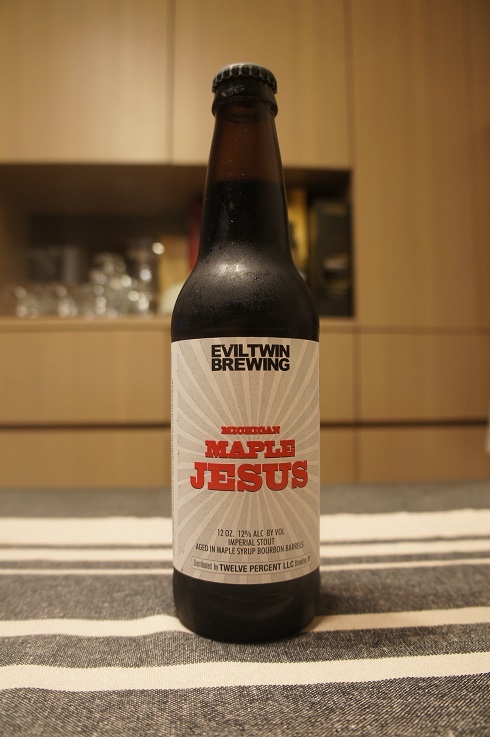 Overall: Probably too sweet and boozy for me while not having enough maple flavours.